When you mention Real Estate in East Texas, the name Judy Kunzman stands out as one of the most recognizable in a very competitive profession. Judy brings over 20 years of experience to the table and has a reputation of making purchasing or selling a home an enjoyable experience for her clients. Judy's enthusiasm and customer service are in a league of her own. Judy's contagious energy and hard work, as well as her motto "Selling Real Estate With a Smile" have made a strong base of loyal repeat customers. She believes clients should feel confident in working with a Realtor with integrity, expertise and professionalism. Judy and her team take pride in giving their customers the attention and knowledge they want and need. Judy grew up in Tyler, Texas and chose to raise her family in a town she truly loves. When both her daughters were in grade school, she decided to get her Real Estate License. Judy's original goal was to sell a few houses on the side, little did she know she had found her niche. Twenty years later Judy and her Team are recognized as one of Tyler and East Texas' TOP Real Estate Teams, winning numerous awards locally and nationwide. Judy and her team love taking on the mission of assisting customers in locating their "Dream Home" in East Texas. She has trained and inspired her team to be held to a high standard of integrity and customer service. 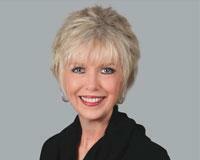 Remember, purchasing or selling a home should be enjoyable and pleasant, so let Judy and her Team take care of you!